HOUSTON - Thanksgiving is here, which means it's time for the 69th annual H-E-B Thanksgiving Day Parade. The parade is a tradition for many families in the Houston area and has been since 1949, when it was launched. Ana Gill has been attending the parade for 15 years. “The parade is full of color, joy and it’s ready,” Gill said. “It makes us ready for Christmas so it’s part of the holidays. Since then, the parade has evolved and grown, but it is still a celebration of the holiday that showcases the Houston community and culture. The parade started at 9 a.m. Thursday and featured Astro Jose Altuve and the Rockets’ James Harden as grand marshals; balloons like Underdog, Garfield and the Lone Star Boot; Budweiser Clydesdales; and the Astros Shooting Stars, among other things. For Debbie Mitschke and her family it’s all about seeing the participants. “I grew up in Houston and all my life we came here,” Mitschke said. “They love it. They love the horses, they love the cheerleaders and just to watch their faces as the parade goes by is wonderful." 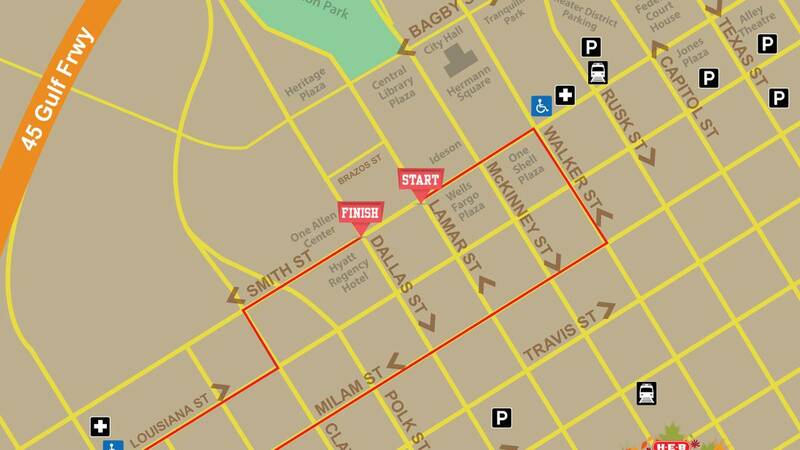 The parade started at Lamar Street and Smith Street and will circle around back to Smith Street and Dallas Street. 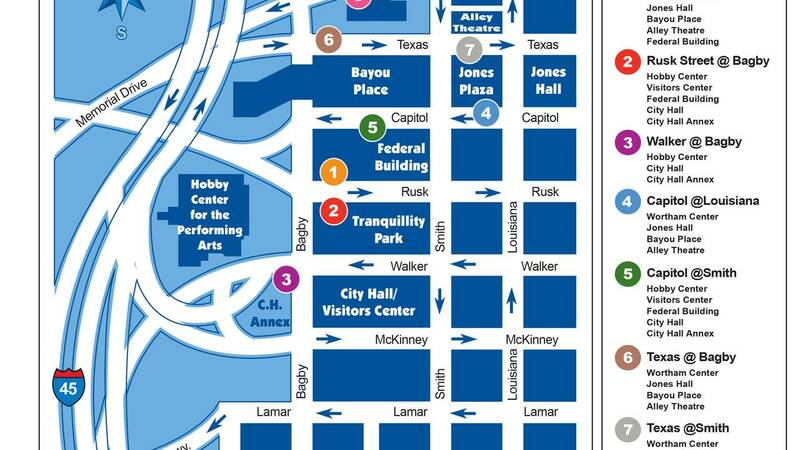 Streets in the area will close at 2 p.m. Wednesday and are scheduled to reopen Thursday at 2 p.m.
A map shows where to park for the 2018 H-E-B Thanksgiving Day Parade. Walker between Bagby & Smith (two south curb lanes) from 8 a.m. to 2:30 p.m.
McKinney between Smith & Louisiana (all lanes) at 9 a.m.
Smith between Walker & Lamar (east & west curb lanes) at 9 a.m.
Louisiana between Dallas & Lamar (east curb lane) at 12 p.m. until Nov. 23 at 5 p.m.
Walker between Louisiana & Bagby (all lanes) at 6 p.m.
Lamar between Louisiana & Bagby (all lanes) at 6 p.m.
A map shows the parade route for the 2018 H-E-B Thanksgiving Day Parade.